We’re both proud and thrilled to finally announce the launch of a brand new Automotive Cadetship for September 2016. Having had huge success in pioneering a variety of programmes that connect both industry and education together, as well as providing the well-needed support that many youngsters require in their search for recruitment, this new initiative will continue to increase awareness of key North East industries and career opportunities in the region. 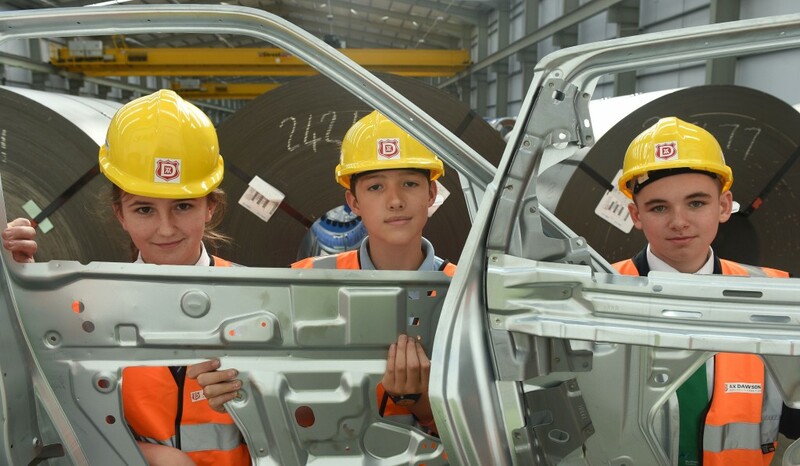 With an already successful cadetship programme that gives participating students the understanding of the global supply chain in the electronics sector and explores the vast amount of career opportunities within port logistics, this innovative, new automotive cadetship will further strengthen our offering. This fantastic new scheme, which starts this month, has been developed in partnership with logistics expert, AV Dawson, and four other companies based in the region including SABIC and Nifco, as well as Nissan and Evans Halshaw. These organisations, all members of High Tide Foundation, will provide participants with an insight into the world of automotive and the region’s thriving automotive sector; exploring the full supply chain; from manufacture of plastic and movement of steel, through to the art of sales at the car showroom. Head of Marketing and Business Development at AV Dawson, Charlie Nettle, commented on their involvement, saying, “It’s really important that we all do everything we can to inform and inspire the next generation so that they are more aware of the opportunities here in our region. We have developed a world class automotive sector in the North East; it has become a key sector for the area and is attracting global interest. However, to sustain this, we must attract new talent. The programme will run for six weeks and will be offered to year 9 students across Teesside from schools that are signed up as High Tide Members. This cadetship is suitable for students hoping to progress onto an apprenticeship or go on to college to study a STEM subject such as science, technology, engineering and mathematics, with a career path into the automotive industry. If you’re interested in getting involved in High Tide Foundation programmes, or if you think you have something else to offer, please contact Membership Coordinator, Kim Upex on 07710713314, or k.upex@hightidefoundation.co.uk.